Good morning from beautiful Ukraine! My name is Andy Whisenant and I have the incredible chance to serve with the HopeHouse team this week. I wish you could have seen yesterday. Really. I wish you could have seen what we saw. I wish you could have had your heart broken and warmed at the same time. 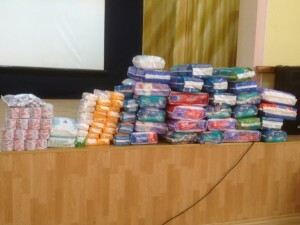 I’m learning quickly that working with these orphans here in Ukraine will do that to you. You’ll be laughing out loud one minute and balling your eyes our the next. I’m an emotional wreck right now. Just being honest. I wish you could have heard our team sharing about what we’ve seen God doing in us and through us during our morning meeting. God is teaching us what it really means to care for the “least of these” who are so very precious to Him. 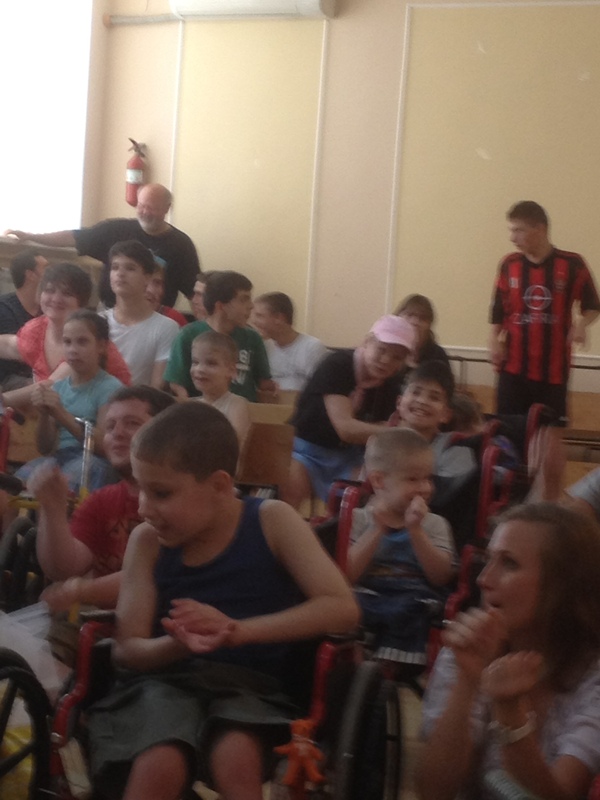 I wish you could have been there with us at the orphanage for handicapped children in Kherson. I wish you could have seen the smiling faces that greeted us. I wish you could have seen the room filled with children, most in wheelchairs or walkers, and the excitement those children had about meeting new friends and singing the classic “Hokey Pokey” song as we moved their wheelchairs and danced with them. Oh the freedom they must have felt to laugh and move and be celebrated! I wish you could have been around those kids and their sweet spirits. I wish you could have seen the joy in their eyes as they were handed a balloon animal from one of our awesome clowns. I wish you could have heard the laughter when these amazing kids got to see a new design on their faces, thanks to our hard-working face painting team. I wish you could have seen the kids who were able to walk teach their new American friends a thing or two about how to play a game of soccer. I wish you could have experienced the generosity of the incredible men and women I have the opportunity to serve with this week. When this team found out that there were over 90 children at the orphanage who are bedridden and unable to have visitors, the Body of Christ did what it does best…serve in a very tangible way. Over $1100 was raised in one afternoon in order to purchase desperately-needed diapers for those beautiful kids. I wish you could have seen the orphanage director’s appreciation. I wish I could adequately describe what we’ve seen this week in Ukraine. I wish I had the right words to tell you about each smile, each hug, and each heartbreakingly beautiful moment. I wish I could sufficiently thank you for your support and prayers–there’s no way we could do this without you praying for us. I wish I could communicate clearly what God is doing here. I’m still working through the emotional roller coaster of this week. What I do know is that God is telling a really beautiful story here in Ukraine and I’m just so glad He invites us to be a part of that story.